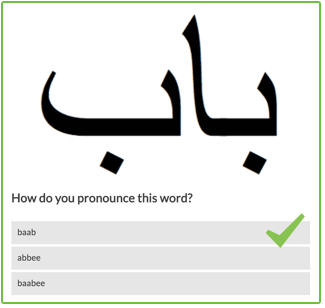 In Arabic there are three characters that function differently to the other letters of the alphabet. 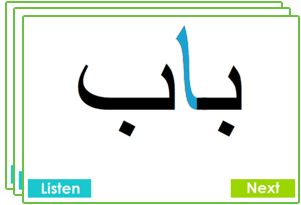 These characters are called fatha, kasrah and dammah. They represent the sounds 'a', 'i' and 'u'. What's different about these characters? 1. They're always written the same, no matter where they are in a word. 2. They're not written in line with other letters. They go above or below the previous letter. You know this sound from..
How does it look in words? 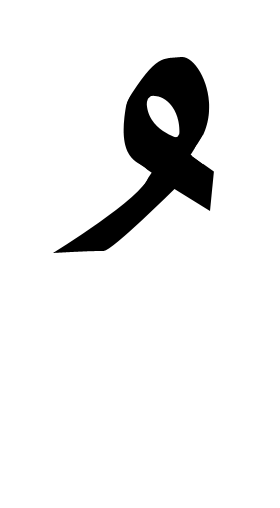 The character is written above the letter before it. Look at the example. 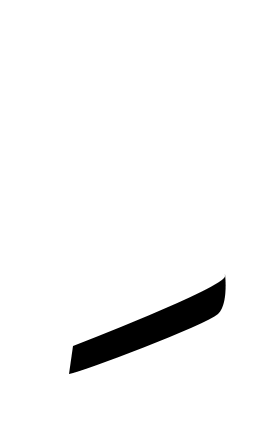 The character is written above a letter 'b', to give the sound 'ba'. 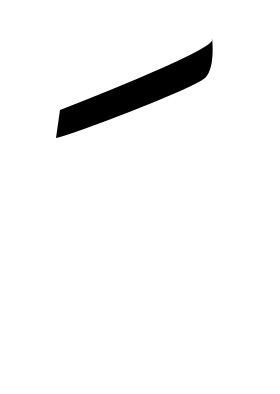 The character is written below the letter before it. 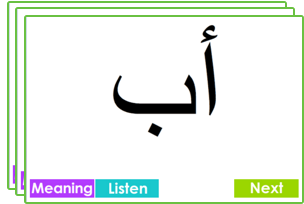 In this example it's written below a letter 'b', to give the sound 'bi'. The character is written above the letter before it. In this example it's written above a letter 'b', to give the sound 'bu'.